How to maintain safety shoes for long? Safety shoes are vital for worker and labors who work under fragile conditions and who have to meet unforeseen challenges on their work site. These shoes are meant to serve the wearer for long time and do not need to be changed frequently. They are designed to be made robust, diligent and strong that can surpass all the physical challenges met on their way. 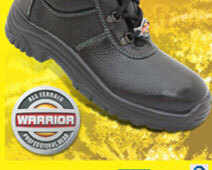 In other words, they are professional safety gear, which work as warrior or as shield to workers. • Place in Airy Place: When wearer or worker is using safety shoe for whole day long then it is obvious that internal body of the shoe get wet due to sweat. It is important for a wearer to keep their safety shoe in a place where it can get air and the sweat accumulated inside get dries off. • Avoid Heat: One should also ensure that their safety footwear are not placed in any extreme heat place. Keep them in a clean, airy and room temperature shelf where it is not affected by water, or any other element that can affect it. 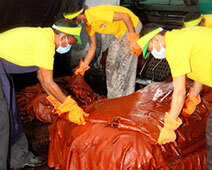 • Condition the Leather: The most important to maintain the durability of the shoe is to condition the leather. You can do it by applying mink oil on the leather surface of the military boots or work shoes, applying eucalyptus oil, also you can use lanolin to keep leather soft and there are other conditioning and softening material available.